The world's first purpose-built jet airliner was the British de Havilland Comet which first flew in 1949 and entered service in 1952. 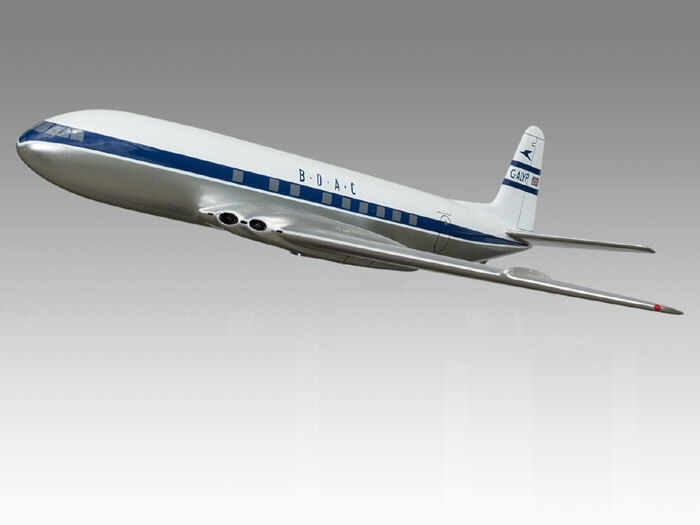 The DH 106 Comet was the first production commercial jetliner. It was developed and manufactured by de Havilland at its Hatfield Aerodrome, Hertfordshire, England . The plane was beautifully shaped with an aerodynamically clean design. Four de Havilland Ghost turbojet engines were sleekly contained in the wings. It had a pressurised fuselage, and large square windows.